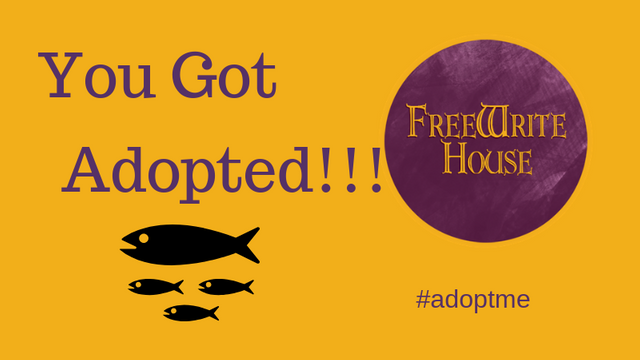 Every week, we will choose one or two Freewriters that applied to be adopted by the Freewrite House. We will hand out two 50% or one 100% upvotes per day and resteem one post per day for 7 days! Please try to post every day to take full advantage of your week of adoption. And ask if you need help. The uncles and aunties know a lot and are going to help you. And participate in all the Freewrite House activities. You will make more friends!! Just to be clear, we will visit your profile every day for that week and make sure that all is on the up and up. We believe in a spam free Steem platform and do not like plagiarism. If you use photos that are not your own - make sure to cite them correctly. And if they are your own, tell us that too. Auntie @kaelci is most generous and is sponsoring the redfish of the week to 2 shares of SBI each. Upvotes for life!! Thank you so much for doing this! @deirdyweirdy will also support the Redfish of the week with votes and @blacklux, who got all of this started, is helping out a bit too. And uncle Bruni!! @wonderwop is tirelessly cheering on our little fish. And everyone else for that matter!! If you don't have a vote to give, you still can be a relative by simply resteeming one post of our little fish per day. Let me know in the comments or dm me on discord mariannewest#6102 if you to be an auntie, uncle or cousin. I will mention you in the next announcement post. I hope that our former redfish help supporting the newcomers as well. And remember - it takes a long time to swim upstream here - they all will enjoy a visit from you all as well. 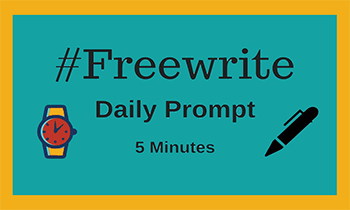 Here is a beautiful reflection on her experience with the Freewrite House from our adoptee @owasco. Welcome to the new adoptee @isgledysduarte, a new freewriter as well? Yes, she is new. And we see how much she can post with the power outages going on in Venezuela.